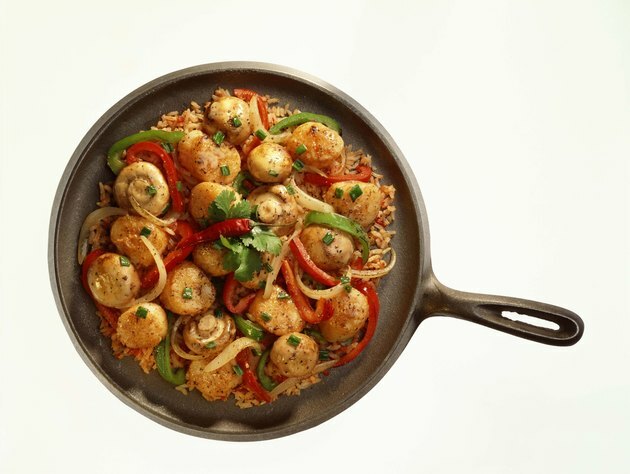 Scallops are a healthy food choice that can be part of a quick and nutritious meal. Serving them with vegetables adds essential vitamins and fiber, while keeping your meal low in fat and calories. Most vegetables pair well with scallops, which have a sweet, fishy flavor. Use an assortment of different colored vegetables and various cooking methods to add texture, visual appeal and a multitude of nutrients. 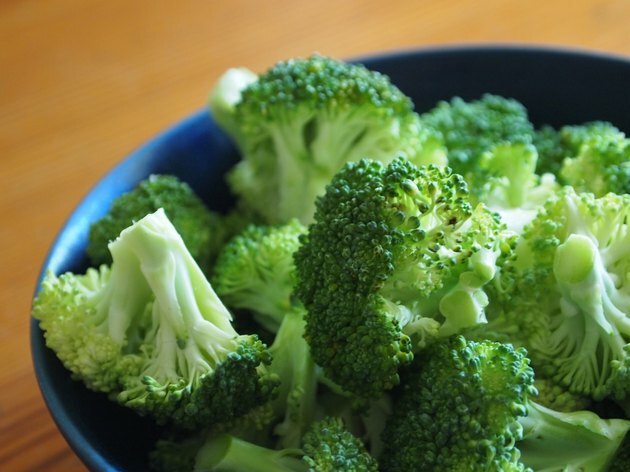 Steaming vegetables retains most of their vitamins and nutrients and helps preserve their bright colors. 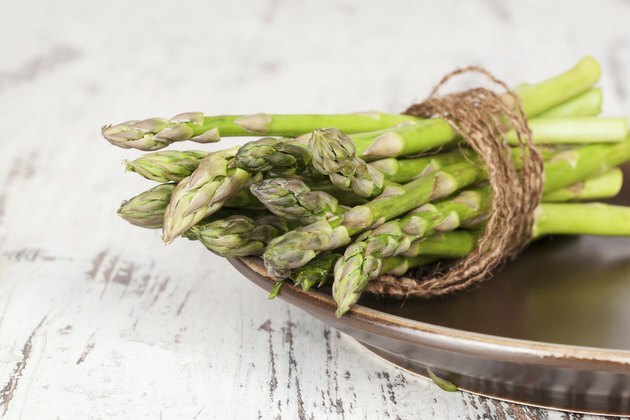 Dress up both steamed asparagus and scallops with a little lemon juice and cracked pepper to enhance and complement the flavors. Drizzle toasted sesame oil over steamed green beans or snow peas and sprinkle with toasted sesame seeds to serve with scallops seared with soy sauce. Another tasty option is steamed bok choy and scallops with a light garlic sauce. Grilled vegetables are ideal when you're also grilling your scallops. Put thicker vegetables on the grill first, as the scallops cook up very quickly. 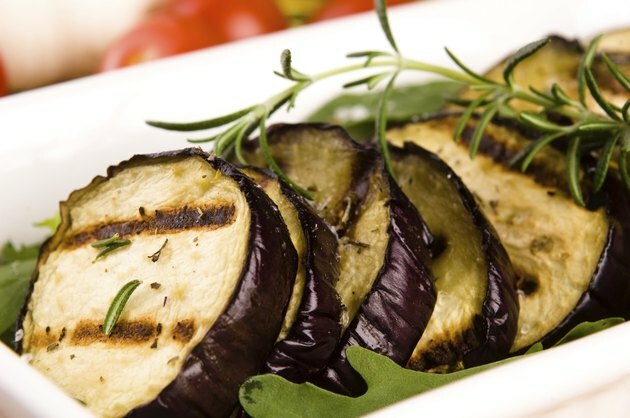 Slices of eggplant and zucchini and small whole tomatoes grilled with olive oil, sea salt and herbs come together to create a deconstructed ratatouille side dish for your scallops. Thread skewers of scallops with zucchini, bell peppers, onions, mushrooms and tomatoes for quick grilled kebabs. 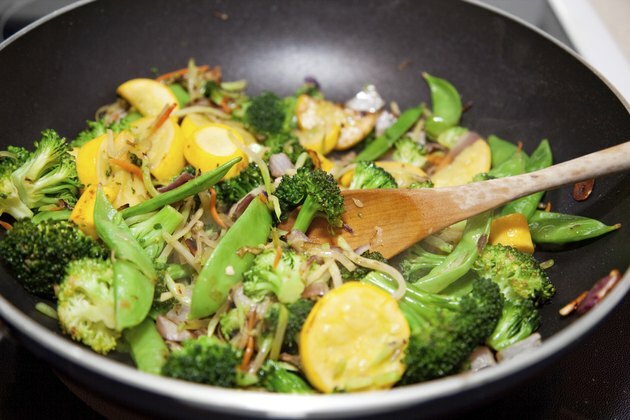 Stir fried vegetables offer the versatility of being served separately as a side dish or as ingredients in a one-dish meal. A quick stir fry of leeks, chard and spinach creates a bed of greens for the scallops. Nestle the greens and scallops on a mound of whole-grain couscous mixed with caramelized onions for a complete meal packed with fiber. Julienne a colorful mix of vegetables, such as carrots, jicama and green bell peppers, and stir fry with red onions. When the vegetables are nearly done cooking, add the scallops and a sauce like teriyaki. Serving seared scallops on top of a vegetable puree creates a light meal and an elegant presentation. Try peas pureed with fresh mint. Cooked broccoli pureed with silken tofu and low-sodium chicken broth also brightens up a plate of scallops. For an interesting taste and color palate, swirl butternut squash puree with broccoli puree and arrange scallops on top, garnished with fresh herbs.